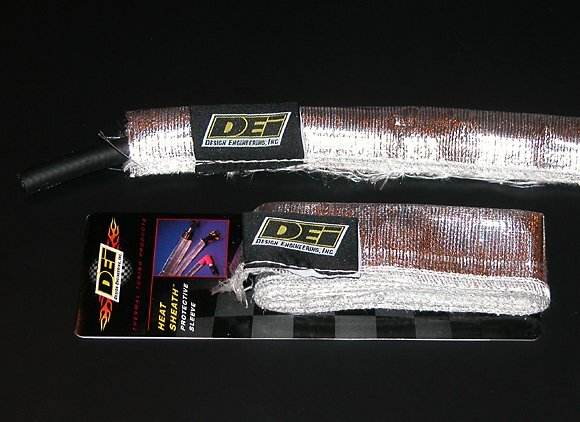 Heat Sheath is made from a Hi-Temp fiberglass fabric bonded to an aluminized material then sewn into a tube. Designed to slide over wires and hoses this product can be easily shaped to fit the tightest bends. The Heat Sheath will reflect up to 90% of the radiant heat and can insulate against up to 500 degrees direct continuous heat. -Easily cut to length with scissors or a sharp knife.